A host of American players, led by World No. 9 John Isner, will descend upon Long Island to play at the New York Open, whose earlier home was Memphis. 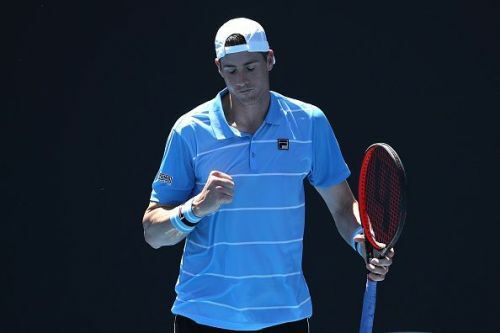 The top-seeded Isner will be eager to get a few wins under his belt after a disastrous start to the 2019 season which has seen him suffer two consecutive opening-round defeats. 21-year-old Frances Tiafoe, who stormed into the quarter-finals of the Australian Open last month, is the second seed at this ATP 250 event. Having proved his immense talent in Melbourne, the young American will look to ride on home support to lay his hands on his second career trophy. Much like Isner, the 34th-ranked Steve Johnson too made a miserable start to the new season and failed to win a match in two tournaments. Johnson's inconsistency hurt him a lot last season. Despite winning two titles in 2018, he went on a six-match losing streak to end the season. A tournament at home might just inspire the third-seeded American to come out of the slump. World No. 36 John Millman has fared much better than Isner or Johnson in 2019. The Australian made it to the Sydney quarter-finals and won a round at the first Major of the year before going down to Roberto Bautista Agut in a five-set thriller. The 29-year-old will aim to draw confidence from those match wins and make a statement at the New York Open. Where to watch the New York Open in the USA? The coverage for New York Open is available on the Tennis Channel from February 11. Where to watch the New York Open in the UK & Europe? No Live Telecast is available in the UK & Europe. Where to watch the New York Open in India? No Live Telecast is available in India.